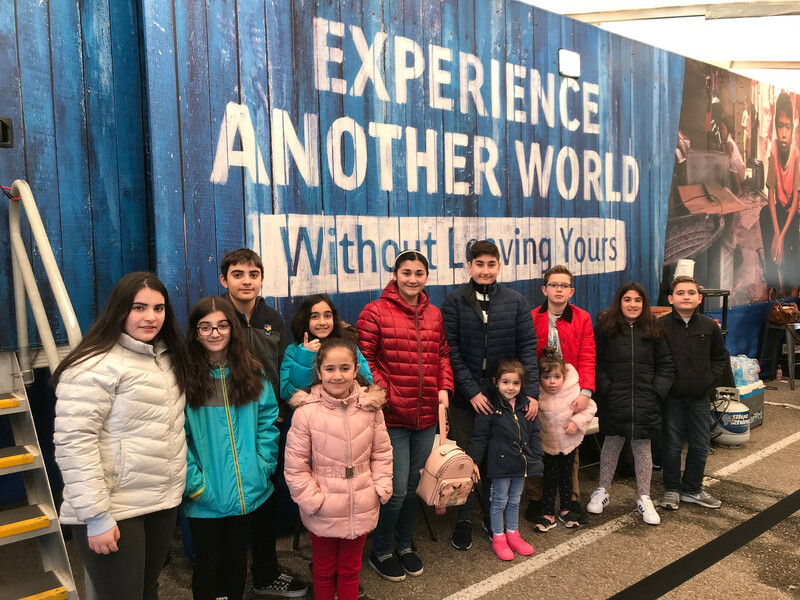 Students from the St. Gregory of Narek Church (Cleveland, OH) toured a traveling exhibit called “The Compassion Experience” last week, and gained an insight into what daily life is like in the developing world. Through interactive displays, the St. Gregory church school students heard stories of other children living in impoverished countries, saw replicas of local homes and schools—and were encouraged to think about the blessings in their own lives. The class trip was part of the parish’s observance of Lent, organized by Yn. Naira Sargsyan.